Dietes iridoides, also named Dietes vegeta origins from Eastern Africa, Malawi and Tanzania. 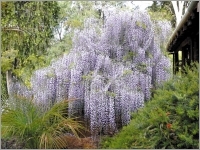 This lower-growing form reaches about 18 inches high. They are tough and heavy bloomers. 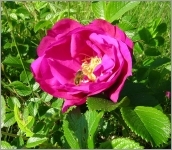 It developes white flowering with some blue tinge and yellow on outer petals. The 3 inch wide flowers are short lived, but are numerous. They come in group at approximately 2 week intervals in Spring and Summer. Don't cut off the long flower stems, since they will grow more flowers. 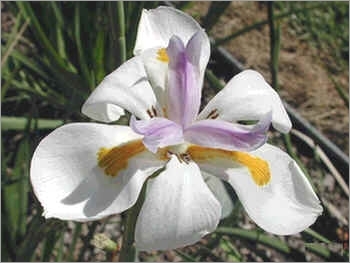 Dietes iridoides is a perennial with fans of dark green foliage to 40 cm. The plant spreads by means of its modified stems, rhizomes, which are located below the soil surface.